Living in Makeup: Benefit Roller Lash: Worth the Hype? 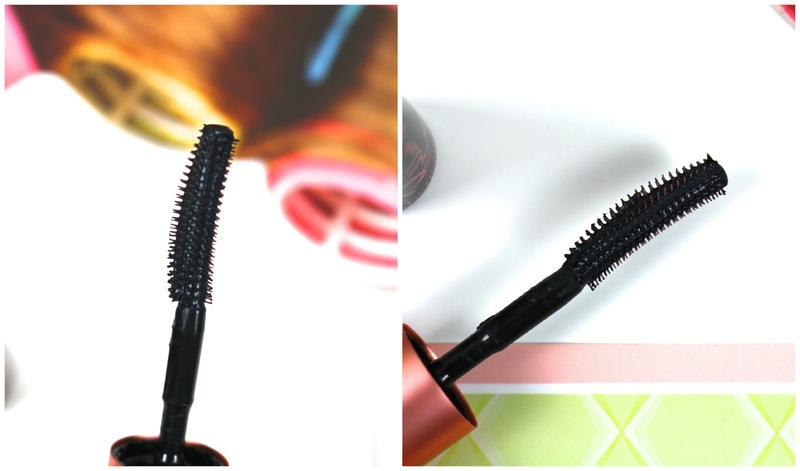 Benefit Roller Lash: Worth the Hype? If Benefit releases a mascara, you know there's going to be hype around it. People love their mascaras. So when Elle magazine had a sample size going with their March issue, I snapped it up. This is actually the first Benefit mascara I've tried and I have to say, it makes me want to try more. Roller Lash claims to lengthen the lashes and give a very defined look. The little hooks on the wand and the curved shape grips onto every lash and helps curl and lift them. I get a lot of length with this mascara and it holds a curl brilliantly. I like that you can easily get the very outer corner lashes which helps to create a fluttery effect. I was pleasantly surprised to discover this mascara also gives decent volume. When I saw the wand, I assumed it would give more length but it does offer a nice amount of fullness to my lashes. I'd heard that Benefit mascaras in general are a pain to remove but this came off easily with Bioderma, no tugging at the eyes involved. It's even easier to break down with an oil based cleanser which is what I typically use to remove my makeup anyway. Despite being easy to remove, it lasts all day without flaking and is fairly water resistant in my experience. It's not water proof, nor does it claim to be, but it holds up pretty well with a little bit of water. Not a lot, but if you get watery eyes, it shouldn't smear or smudge that much. I'm happy to say that Benefit's Roller Lash is definitely worth the hype. I love it and every time I wear I have a good lash day. Once I've finished my little sample, I wouldn't hesitate to purchase the full size. Have you tried Roller Lash? What are your thoughts?